Why Are Some People More Prone to Hyperpigmentation? 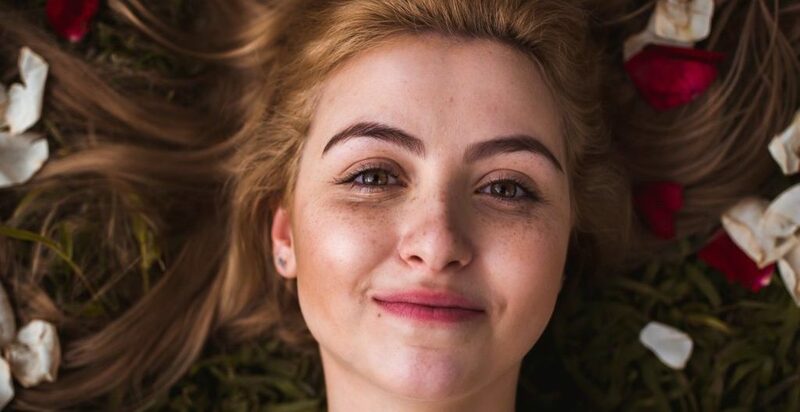 Achieving glowing clear skin is something we all want! For many of us, we suffer from some sort of skin problem, whether it is acne, eczema, or hyperpigmentation that keeps us from this goal. 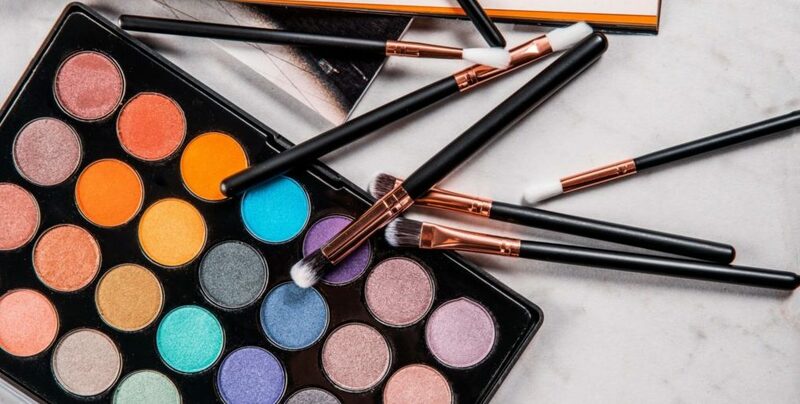 Although makeup is fun to play with, feeling confident in our own natural skin is important. 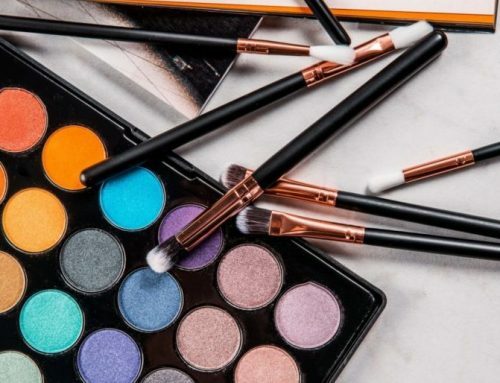 The “no makeup” look is also super on trend. Hello Alicia Keys. If you have hyperpigmentation, like many men and women, going makeup free means exposing your dark spots. There is help. One of the most effective ways to treat hyperpigmentation is chemical peels and you don’t have to visit the doctor to see amazing results. Did you know that there are effective chemical peels that you can do at home? Hyperpigmentation refers to the darkening or discoloration of the skin. This discoloration is darker than the rest of the surrounding skin and can be red, pink, brown, or purple looking spots. The spots can be in clusters, streaks, or single spots. Hyperpigmentation is usually caused by a higher level of melanin than normal. Melanin is the chemical found in your skin that gives it pigmentation. These increased levels of melanin can occur in the epidermis, deeper dermis, or both layers of the skin. Mild hyperpigmentation can often go away on its own, such as acne scarring or freckles. Other types of hyperpigmentation that are considered severe, may require more intensive forms of treatment in order to fade the marks. To learn more about other hyperpigmentation treatment options, click here. Sun Spots / Sun Damage: This form of hyperpigmentation is caused by too much unprotected UVA/UVB exposure. These usually appear as flat light to dark brown spots on areas of the skin that are consistently exposed to the sun, such as the face, chest, neck, and hands. Post Inflammatory Hyperpigmentation (PIH): When hyperpigmentation occurs after skin trauma, injury, or inflammation it is considered PIH. This is usually the result of an illness or other disorders. PIH can appear as pink, red, or brown marks. Examples of this include acne, eczema, or psoriasis. Melasma: Melasma is caused by changes in hormonal levels. This may occur during pregnancy. menopause, or when taking birth control. It can cause patches of skin to become light to medium brown and is usually found on the face. Waxing, picking at blemishes, or other habits that may cause allergic reactions. This can result in skin trauma. TIP: After your chemical peel your skin will be more prone to damage from the sun. So, slather on that SPF to avoid any further hyperpigmentation and to protect your skin from the harmful effects of the sun. Chemical peels were used to achieve beautiful skin in ancient Greece, Egypt, and Rome. In fact, this skincare treatment is one of the oldest cosmetic procedures performed throughout the history in the world. (It is said that Cleopatra used lactic acid for chemical peels. To learn more click here) So, what is it? A chemical peel is a treatment that utilizes an acid solution to remove the outer layers of the skin that are damaged. These treatments help to smooth and enhance the texture of skin as well. The acids used exfoliate the outer layer of dull skin away. This reveals a new layer of skin with improved tone and texture. Chemical peels can be done at home or in a dermatologist’s office. Having a treatment performed in a medical office is often very costly but is recommended for those with severe hyperpigmentation. Thanks to ever enhancing research, the world of at home skin care is always improving. The best at home chemical peels can give amazing results, but there are certain ingredients that you want to look for. At home, chemical peels for hyperpigmentation with these ingredients are the most effective. Fruit enzymes (papaya, pumpkin, pineapple, etc) utilize the power of fruit to remove and lighten dark areas. This is a great option for those with sensitive skin. Beta hydroxy acids (salicylic acid) are used to unclog pores and clear up acne. You will often see this ingredient in acne treatments but this acid is also a great hyperpigmentation treatment. Glycolic acid is usually found in peels focused on anti-aging. This acid helps to increase your natural collagen production, smooth uneven texture, brighten dull skin, and reduce wrinkles. Glycolic acid is great for treating hyperpigmentation that is a result of acne scarring. Lactic acid smooths skin texture and helps to reveal fresh, glowing skin. It is more effective for hyperpigmentation than glycolic acid. Trichloroacetic acid (TCA) is a very strong ingredient found in at home chemical peels. TCA penetrates deeply into the skin. It is very effective for hyperpigmentation. TCA is also used to treat stretch marks and wrinkles. Following use of TCA, you will usually need to give yourself a recovery time of 7-10 days. TIP: To ensure that you are not allergic to any of the ingredients found in your at home chemical peel. Be sure to do a patch test before you apply the peel to your face. To do this, apply a small amount to your wrist, or any other area of your skin that is discreet and can be easily covered if you do have an allergic reaction. Wait at least 48 hours after your patch test to see if your skin has a reaction or not. Our bodies shed on average 40,000 dead skin cells an hour. This may sound gross, but this process is essential to keeping our body healthy and it is how our skin regenerates. This regeneration process slows as we get older. As our bodies age, we have a harder time shedding away the old, dead skin. This is why you may notice your acne scars (considered hyperpigmentation) don’t fade as fast or as easily as they used to. Well, chemical peels help to speed up this process. Chemical peels break the bonds between old skin cells and help them to shed faster. Once the old cells shed, new cells are able to grow. For areas with hyperpigmentation, chemical peels remove unwanted damaged skin that is pigmented. This allows new and even-toned skin to take its place, helping hyperpigmentation to fade faster. Although there are many different at home chemical peels, not all are able to fade or help remove hyperpigmentation. So, we did the research for you! Here are our top picks for the best at home chemical peels for hyperpigmentation. 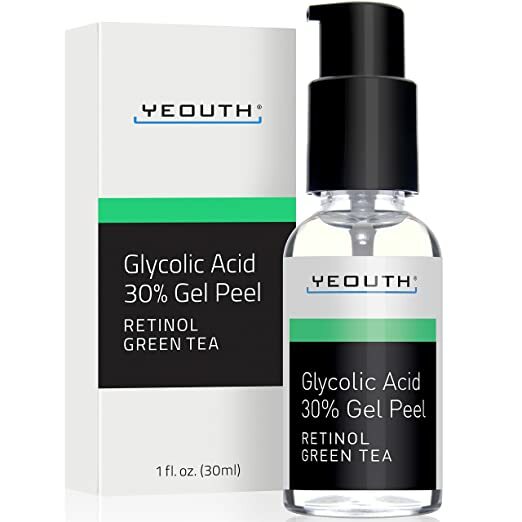 Yeouth 30% Glycolic Acid Peel will help your skin to look younger, brighter, and smoother, while helping to reduce the appearance of hyperpigmentation. With great ingredients like glycolic acid, retinol, and green tea, this peel is able to penetrate deeply to give you great results. 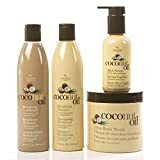 It is also paraben, sulfate, phthalate, and GMO-free. This peel from Skin Obsession utilizes TCA as the main ingredient, with 20% of the formula being this professional strength acid. This peel helps to increase collagen production, lighten hyperpigmentation, and even texture. It is safe to use for those with light skin tones, but it can cause a change in skin tone for those with dark skin. And yes, the goal of getting rid of hyperpigmentation is to remove the discoloration, our goal is not to remove our gorgeous skin tones. Due to the high concentration of TCA in this peel, it is not recommended for beginners. 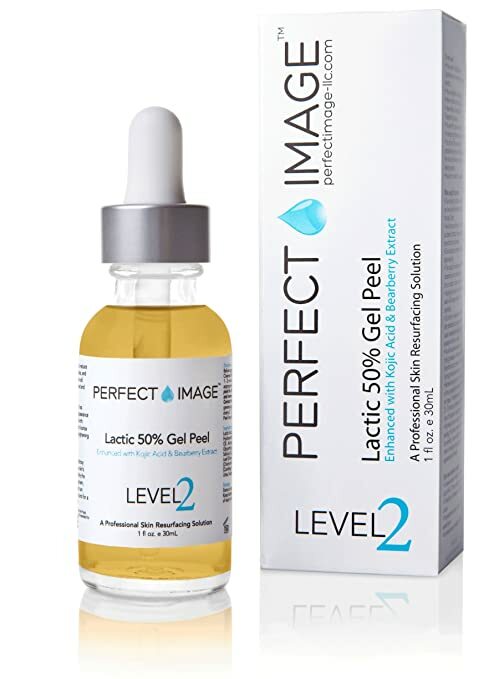 The Perfect Image 50% Lactic Acid Gel Peel is filled with ingredients that help to brighten the skin and fade dark spots. This is another formula that is very potent, with 50% lactic acid, so use with caution. It can also help to eliminate free radicals. Some of the great ingredients included other than lactic acid are kojic acid, licorice, and bearberries. This chemical peel helps to reduce hyperpigmentation, fine lines, wrinkles, and other signs of aging. 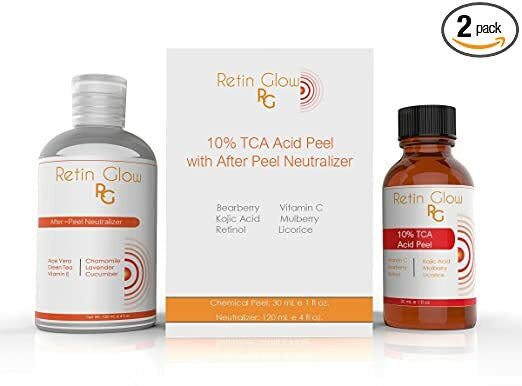 Retin Glow includes ingredients such as vitamin C, retinol, kojic acid, bearberry, and TCA. It is a mild TCA peel, making it a great option for those who are at home chemical peel beginners. This chemical peel also includes a neutralizer to use after your treatment. This will restore your skin back to its normal PH level. Not only will this chemical peel help to reduce hyperpigmentation, fine lines, and wrinkles, but it also contains green tea and chamomile. These two additions are antioxidants, have antibacterial effects, and are anti-inflammatory. The anti-inflammatory is a plus because it can counteract any potentially irritating effects that may occur due to the inclusion of glycolic acid. This chemical peel also has great reviews on Amazon from men and women that say they have seen results! 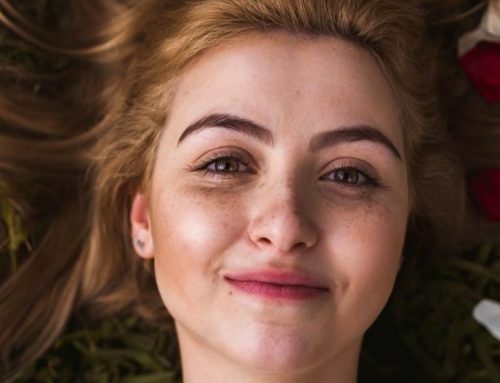 The best at home chemical peels for hyperpigmentation will have ingredients that help to remove dead skin and reveal new fresh, even-toned skin. Don’t forget, that there are certain precautions that you can take to help lower your risks of hyperpigmentation showing up. If your hyperpigmentation requires deeper penetration, you may want to see a dermatologist to discuss other options. 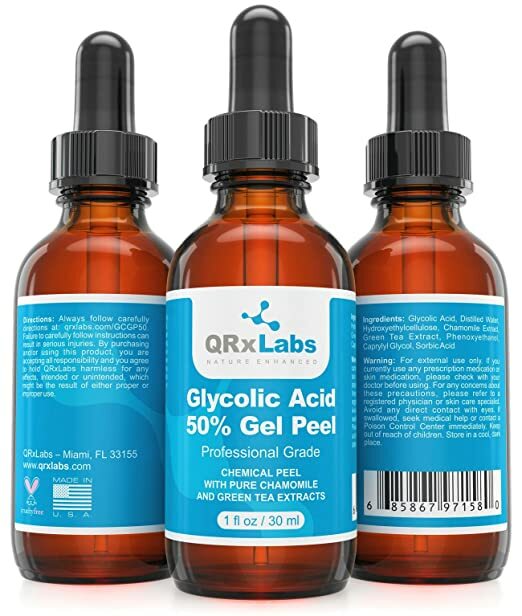 We offered you a few different options for the best at home hyperpigmentation chemical peels, but our favorite is the QRX Labs Glycolic Acid 50% Gel Peel. 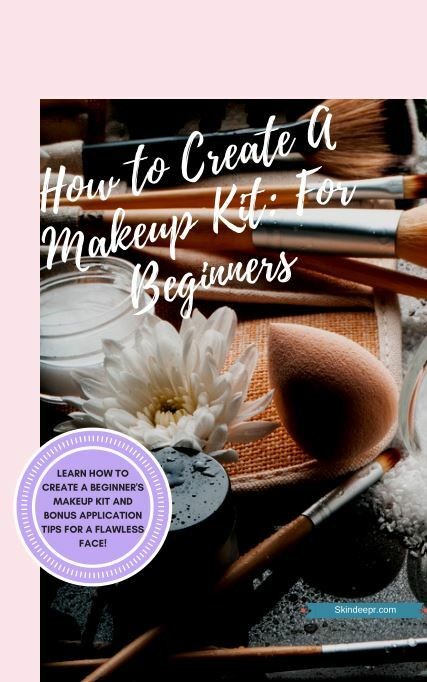 Getting clear skin can be easier than you thought? You can do it right at your bathroom sink. Have you used an at home chemical peel before? 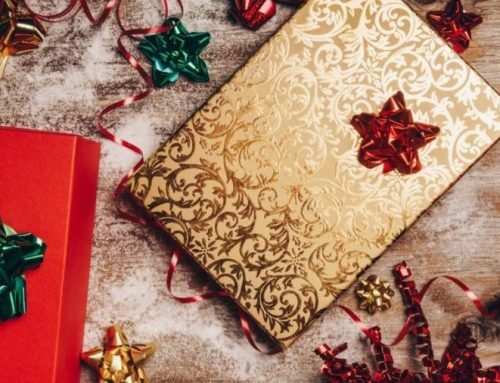 Do you have one that you love? Let us know in the comments.